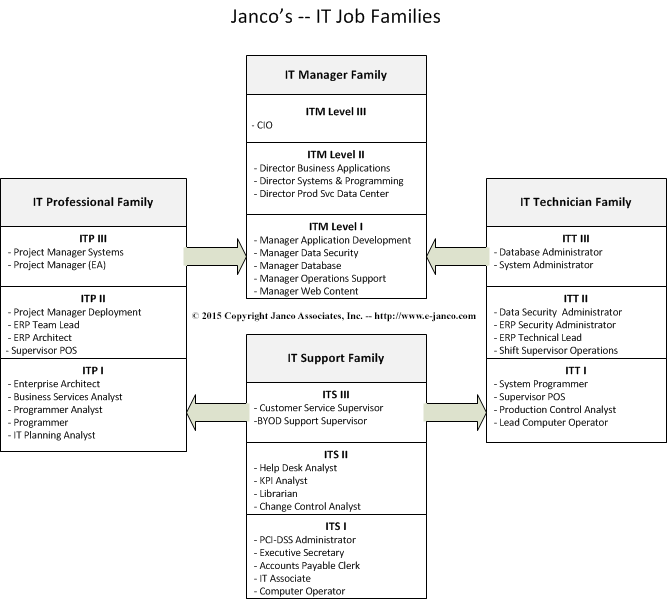 IT Job Family Classification System - Are you paying too much or too little to your information technology staff? Are you hiring the right people? Do you have clear career paths for your employees? All of these questions can be answered and addressed with the IT Job Family Classification HandiGuide. It has just been updated and takes into account the latest changes in technology and meets all mandated HR requirements. It comes in a easily modified MS WORD format along with clear graphics which can be used to communicate the relationships to skill requirements, compensation and promotion planning. The systems takes out the subjective and focuses on the objective. 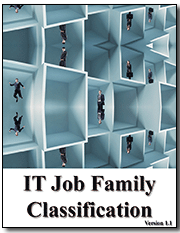 Most traditional IT job family classification are complex and difficult to maintain. As new technologies are used this model requires an organization to constantly update the job families to reflect these new changes. At the same time older job families become obsolete and add clutter to the HR and compensation infrastructure. 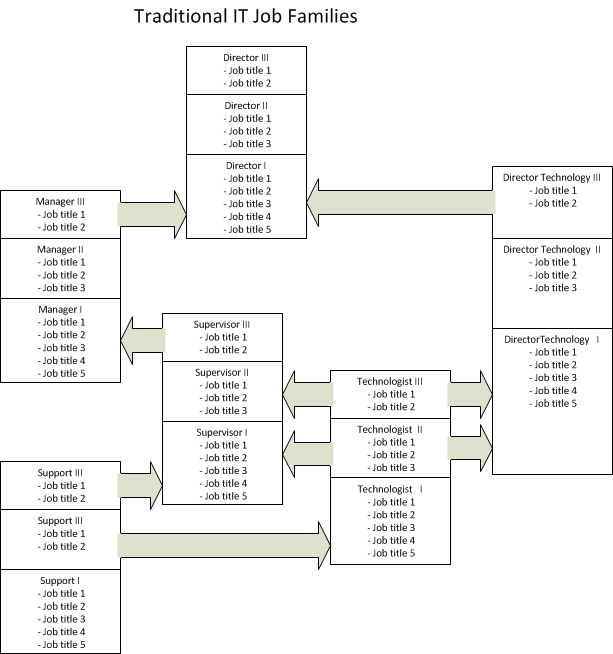 This model is easy to maitain and adapts quickly to new hiring and compensation requirements associated with advances of new technologies.